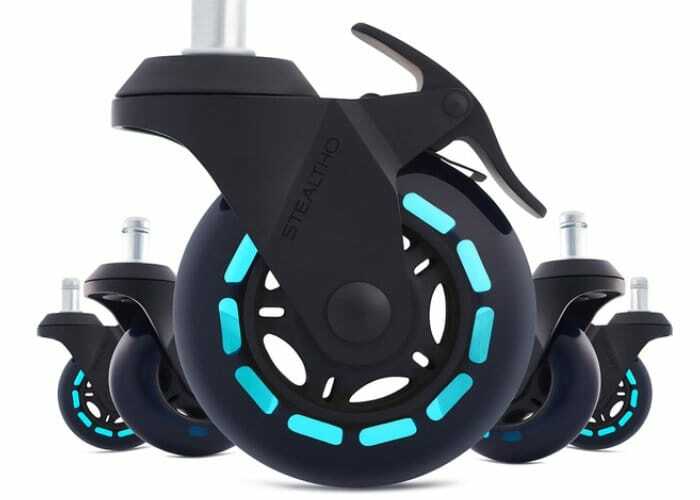 If the wheels on your office chair are not providing the performance, reliability or comfort you thought they would it might be worth upgrading to the new office chair caster wheels created by Stealtho. 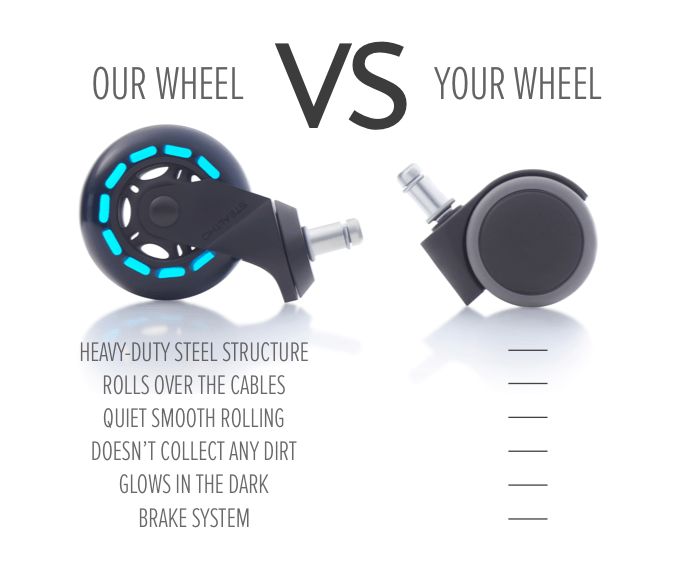 The new caster wheels have been created to fit all standard office chairs with a stem size of 7/16” and 7/8”. Watch the demonstration video below to learn more about these new office chair caster wheels that will allow you to glide over different surfaces and even over cables without your chair stumbling. 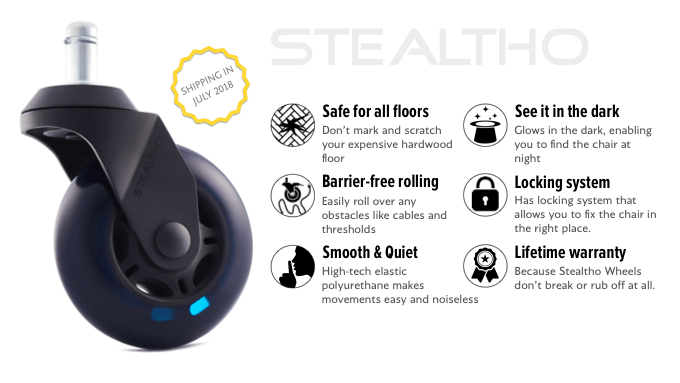 The Stealtho office chair caster wheels are equipped with a brake pedal, steel body and Abec nine bearing configuration for quiet smooth rolling. For more details on all available pledges and full specifications to check they are suitable for your chair jump over to the official Kickstarter campaign page by following the link below.